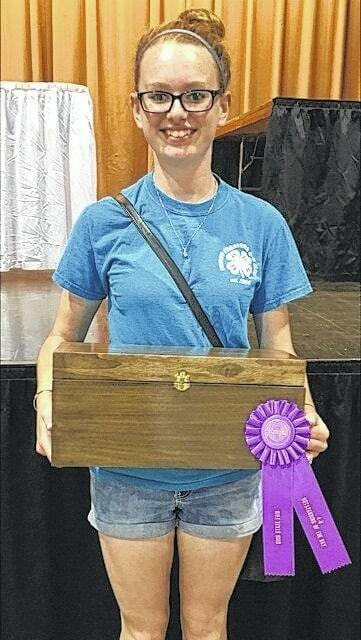 Cheyenne Williams won Outstanding of the Day in the 4-H woodworking category “Making the Cut” at the 2016 Ohio State Fair. Williams was judged on her home built project, knowledge of woodworking and a skill project built and timed during the competition at the Ohio State Fair. Williams competed against other 4- H members from across the state to earn this award. She is 17-years-old and a member of the Funny Farmer 4-H Club. Williams is a junior at Fayette Christian School in Washington Court House.